Suffering from vertical or stepped cracks in your wall? Stabilise the structure, prevent further cracking and restore the structural integrity of the masonry with our crack stitching products. Permagard stock a wide range of crack stitching products including complete kits to enable you to repair cracks in walls and provide structural stability. Subsidence is where the ground under or around your property starts to move - normally leading to the sinking or movement of part or all of the property. Settlement occurs in new build properties soon after completion and is the natural process where the building “settles” into the ground. Natural elements - normally tree roots or water table levels can lead to structural cracking in masonry. 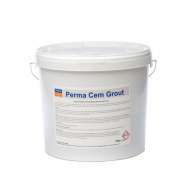 Here at Permagard we supply a quick, simple and permanent solution for effectively stabilising vertical cracks in masonry. 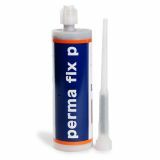 The Permagard Crack Stitching Kit System contains all the components needed to allow you to repair vertical or stepped cracks in masonry walls. 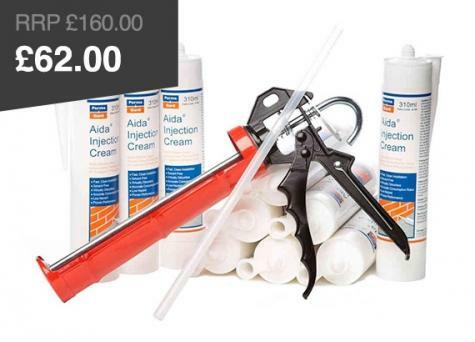 Crack stitching repairs carried out using this kit will stabilise the structure, provide resistance against further cracking and restore the structural integrity of the masonry. 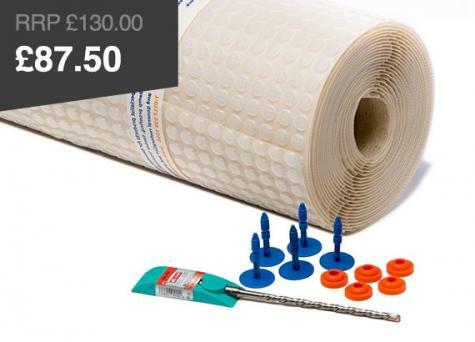 The crack stitching kit is supplied with all the components to repair the crack quickly and efficiently with the minimum of disruption. Crack stitching kits are inexpensive and resist further damage to the wall. 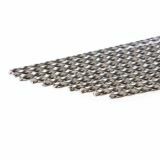 The stainless steel crack stitching bars (helical bars) are placed into horizontal slots, cut into the mortar bed joints or across the crack in brick, block or stonework. They are then grouted into place using PermaCEM Anchor Grout. 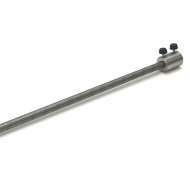 Find our more about helical bars and how they work in our post. 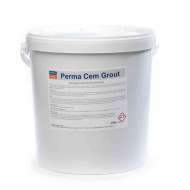 PermaCEM Anchor Grout is a shrink compensated grout with added polymer additives. It sets around the crack stitching bars and develops compressive strength rapidly to prevent axial deflection of the crack stitching bar under load conditions. Cut a slot in the mortar bed just over 500mm either side of the vertical crack and to the correct depth, dependent on the wall thickness (see below). 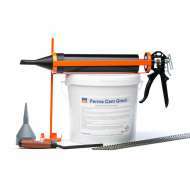 Ensure the mortar is completely removed to reveal the top and bottom faces of the masonry. Remove all loose material and then flush the joint with water. Normally vertical spacing is every 4 - 6 brick courses but check with a structural engineer if in doubt. Mix the grout thoroughly using the paddle mixer provided and load into the gun. 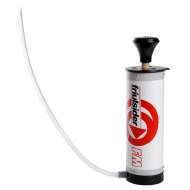 Pump the grout to the back of the slot in a continuous even bead to approximately two thirds of the slot depth. Push the helical bar firmly into the grout, making sure that the bar extends 500mm either side of the crack. Apply a second bead of grout into the slot making sure that the bar is completely covered and with the trowel provided force the grout into the slot until it is approximately 10mm from the surface and ensuring that the bar and grout are firmly packed. Finish by making good the bed joint and filling the vertical crack with an appropriate filler to match. For further information please read our guide to Repairing Cracks in Walls. You can also read our lintel repair guide about identifying and fixing failed lintels with helical bars. Please note we always suggest that a structural engineer is consulted to identify the reason for structural movement and advise on the correct solution. The Permagard Crack Stitching System may make up one of a number of solutions that should be implemented to stop structural movement. Call our team of technical advisers today for more information on 0117 982 3282.